A FIRE service is reminding people there is still time to comment on plans for a new combined authority. The consultation on the creation of the combined fire authority for Hampshire, Isle of Wight, Portsmouth and Southampton is open until next month. The public are invited to give their views on the proposal before the Hampshire Fire Rescue Authority and Isle of Wight Council consider whether or not to submit an application to government. 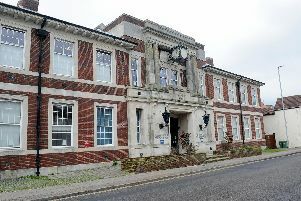 Hampshire’s fire authority gave the green light to proceed with the consultation in June. Councillor Chris Carter, chairman, said: ‘This presents an opportunity to create a new arrangement, with potential to deliver significant operational benefits, greater resilience for both services and also help keep communities even safer.